Hong Kong is a modern center of finance and industry with a unique cultural history that makes it like no other megacity in the world. Tsim Sha Tsui, China Our 4.5-Star classification designates those properties with well-appointed, deluxe accommodations, extensive amenities and comprehensive guest services. Expect attention to detail and a warm and hospitable staff ready to cater to your needs. These superb properties offer a truly refined getaway. Half star indicates that the hotel/resort meets all criteria of the designated rating and exceeds in certain areas. 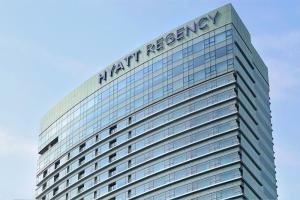 This upscale hotel provides guests with elegant amenities and a great location to explore the surroundings. Kowloon Our 4-Star classification designates those properties with well-appointed, deluxe accommodations, extensive amenities and comprehensive guest services. Expect attention to detail and a warm and hospitable staff ready to cater to your needs. These superb properties offer a truly refined getaway. 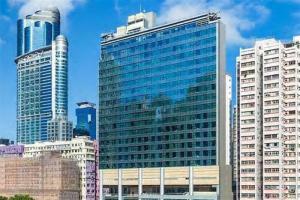 Set within one of Kowloon's most popular shopping districts, this hotel affords breathtaking views of Victoria Harbor, Victoria Peak and Hong Kong Island and easy access to the city's history, culture and entertainment.